PT Brantas Abipraya (Persero) - PTBA or known as "Brantas Abipraya" is a rapid growing state-owned company in Indonesia, running business in general construction industry. Based in Jakarta, Brantas Abipraya has strong business competencies on construction projects related to water infrastructure. Its projects include dams and weir, tunnel work, road and bridges, irrigation and river improvement, dredging and reclamation, and manufacturing landscape. Brantas Abipraya is non listed state-owned company and is fully-owned by the Government of Indonesia. Brantas Abipraya was formed in 1980 as an expansion result of Brantas river Project Development, the development project of Brantas river basin in the East Java province. As of December 2016, Brantas Abipraya runs its business through 2 division offices, 4 regional offices, 4 branch offices, and 4 precast factories across the Country. According to PT Brantas Abipraya (Persero) Annual Report 2016 as cited by JobsCDC.com, the financial performance of Brantas Abipraya in 2016 showed a good improvement. 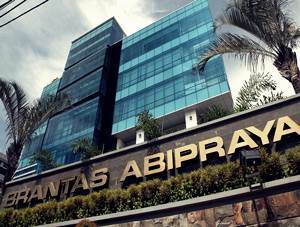 Brantas Abipraya records strong total profit growth in 2016, total profit grew 35.44% year on year (YOY) from Rp 131.60 billion in 2015 to Rp 178.25 billion in 2016. Brantas Abipraya registered total revenue of Rp3,323.32 billion in 2016. This number is an 5.39% increase YOY from Rp3,153.18 billion in 2015. Minimum Diploma (D3) holder in Civil Engineering, Electrical Engineering (Power), Mechanical Engineering, Architecture Engineering. Minimum 2 years of experience in construction industry as QA Staff. Have solid knowledge of QMS ISO 9001, 14001 & OHSAS 18001 as well as QA corporate plan and implementation. Fluent in English both written and spoken, excellent interpersonal and communication skills. Minimum Diploma (D3) holder in Health, Safety, and Environment. Minimum 2 years of experience in construction industry as HSE Staff. Have solid knowledge of QMS ISO 9001, 14001 & OHSAS 18001, SMK3 as well as HSE corporate plan and implementation. Technical experience in HSE inspection. JobsCDC.com now available on android device. Download now on Google Play here. Please be aware of recruitment fraud. The entire stage of this selection process is free of charge. PT Brantas Abipraya (Persero) - QA Staff, HSE Staff Project Based Brantas Abipraya March 2018 will never ask for fees or upfront payments for any purposes during the recruitment process such as transportation and accommodation.